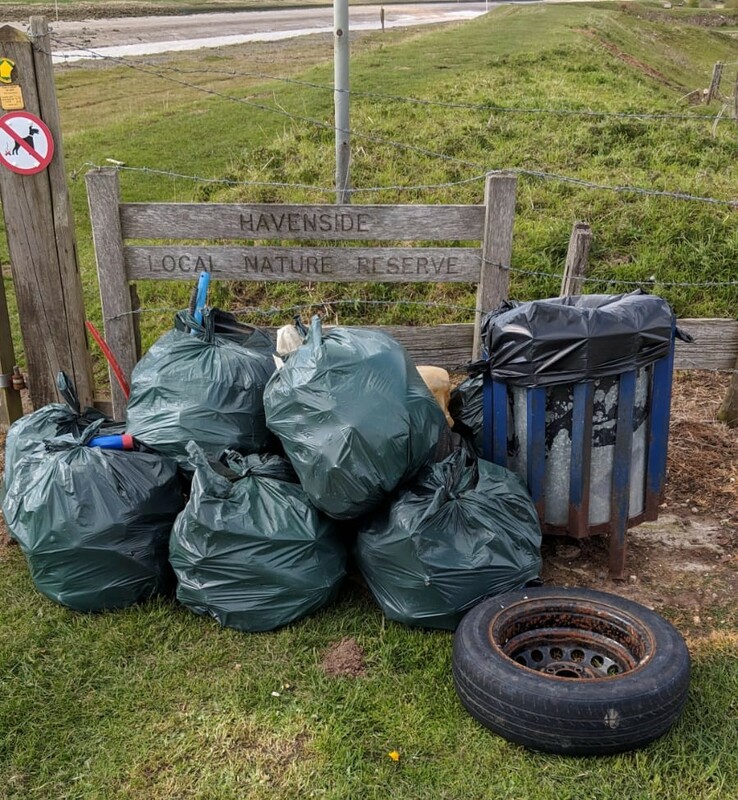 The annual four-day Big Boston Clean Up starts on Monday, April 15, but, wow, look what litter pickers Sophie and Carl have already cleaned up from near the Pilgrim Fathers’ Memorial at Fishtoft. Their haul included sacks of general litter plus cushions and a car wheel. There’s still time to get involved in the 12th annual big clean up – you can join in for the whole four days, one day or even just half a day – whatever you can do would be a great help. Free lunch is available and there will be various tea and biscuit breaks throughout the day. This year’s big clean up is paying particular attention to plastic litter and importance of helping to minimise plastic pollution. Last year nearly 400 people took part, approximately 100 people a day. Everybody is welcome, anyone under the age of 16 must be accompanied by an adult, meeting at the Municipal Buildings at 9am each day. Find the pledge form here https://bit.ly/2ImcboG or get a paper copy of the form from the council buildings. For more information contact Jen Moore on 01205 314583. Primary Schools are already taking part in their version of the big clean up – the Big Schools Clean Up. Boston Borough Council, Boston Big Local, Transported, the Boston arts organisation, and Lincolnshire’s Waste Partnership have joined forces to turn plastics collected by schools into a unique work of art to go on public display. An artist will work with children later in the year to build a human figure out of the plastic waste collected standing astride an Earth made out of plastic bottles, sending home a striking visual message about our plastic planet. Jen said: “This year will be the 12th annual Big Boston Clean Up. Hundreds and hundreds of volunteers have supported the campaign since 2008. “It does have a significant impact on the appearance of the town, raises awareness of the issues of littering and other environmental crime and proves that by working together we can make a positive difference.